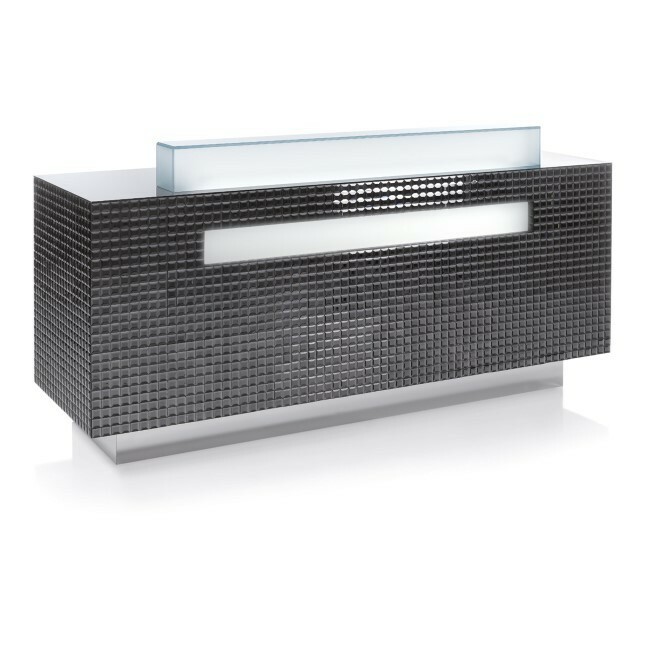 Reception desk with illumination and fumé crystals. Also available with mirror crystals. Made in Italy.